Prior to this, making a visit to the Star Sports Studios to be a part of Kent Cricket Live on the 28th of April 2018 is Ranbir Kapoor’s father - Rishi Kapoor along with Amitabh Bachchan who adopts the paradoxical role of being Rishi Kapoor’s Father in the upcoming film 102 Not Out. The duo will discuss cricket while giving fans of the VIVO IPL a sneak peek into the upcoming movie “102 Not Out”, aired exclusively on the Star Sports Network from 6.30 pm onwards on Saturday, April 28, 2018. Highlighting the clash between Titans - RCB and Kolkata Knight Riders, Ranbir and Star Sports expert for VIVO IPL Irfan Pathan will also be evaluating the performance of young KKR pacer -Shivam Mavi. From making heads turn right from her Bollywood debut in Ashutosh Gowariker’s Mohenjo-Daro with Hrithik Roshan to Telugu's superstar Allu Arjun's Duvvada Jagannadham (DJ), Pooja Hegde's stardom has fast superseded her peers. The gorgeous actress floored the audience with not just her acting chops but also her effortless dancing prowess. Post the mega success of DJ, Pooja is considered as one of the most successful female stars of Tollywood and has already signed with the best actors, right from the nation’s favourite Prabhas to Mahesh Babu and Jr. NTR. The gorgeous actress is quite excited to share the screen space with Prabhas in an untitled bilingual – Hindi & Telugu, directed by Radha Krishna Kumar and the movie will go on floors in June this year in Europe. Recce for the project is presently underway. The makers will finalize several locations in Europe where the period-romance will be filmed entirely. The actress is looking forward to the workshops along with Prabhas in the first week of May. 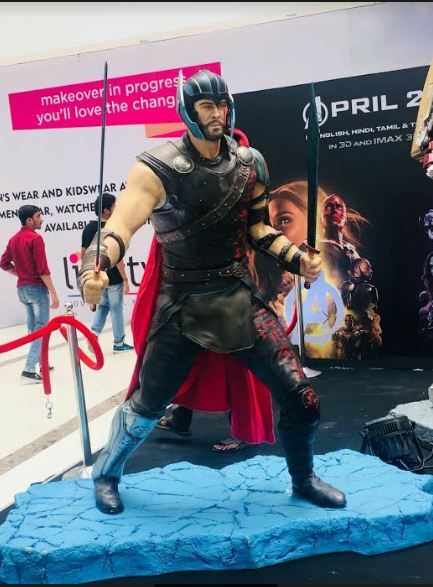 “I have not been told what the prep is about but both Prabhas and I will be attempting some unique action and musical sequences for the first time,” adds Pooja. While Pooja is expected to start shooting by June-end, Prabhas joins the team in Europe on July 7 after wrapping up his Hindi-Telugu bilingual Saaho. IIFA Voting Weekend - Kick-starting the 19th Edition of IIFA Weekend & Awards with the Voting Process for the Awards, IIFA Voting Weekend is held in Mumbai between the 27th and the 29th of April at the Indus, J.W Marriott hotel from 10am to 10pm. At the IIFA Voting Weekend, members of the Indian Film Industry show their support to IIFA as they come forward to vote for their peers. 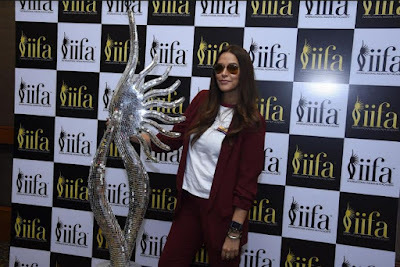 On the 1st day of the IIFA Voting Weekend, members of the Indian Film Industry like Riteish Deshmukh, Neha Dhupia and Vicky Kaushal showed their support to IIFA as they came forward to vote for their peers. The International Indian Film Academy is a first-of-its-kind effort to promote Indian Cinema globally. Fans of Indian cinema from all over the world converge to celebrate Indian cinema, whereas millions worldwide catch the telecast from the comforts of their home. On its journey of celebrating Indian Cinema across the world, IIFA has spread the magic of Indian cinema to various exotic locales around the world. The awards process is completely transparent and winners are voted for in a completely democratic manner. 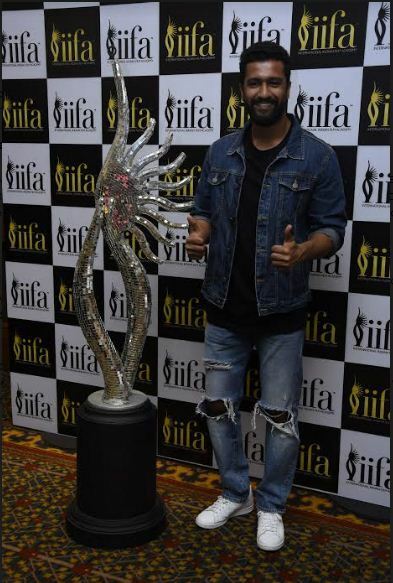 During this stage, the IIFA Awards application forms are advertised in all the film trade magazines and are available for distribution to film producers. Only film producers can apply and nominate the entries for the relevant awards. After the receipt of the application forms, the IIFA Management forwards them to the process validators, who ensure that the submitted films are eligible for application. 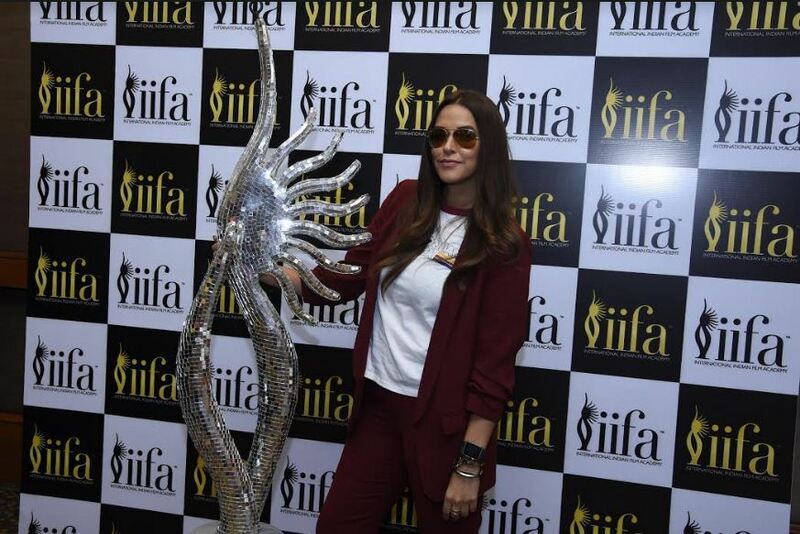 The nominations of the Popular Awards category are put up for public voting via the IIFA website. Process validators compiled the votes and arrives at the winners. The results are kept confidential and declared for the first time when the sealed envelope is opened on-stage before a live television audience during the IIFA Awards presentation ceremony. Yami Gautam, an actress of the upcoming Batti Gul and Uri posted on her social media that she has just supported and donated towards setting up a library for underprivileged kids in Kohlapur, Maharashtra. Her donation will help over 400 children in the area to read, learn and imagine. The books were science, math, history, keeping in mind the age group of 7-15 year olds. The actress mentioned the reason she felt so strong for children's education was, “I have a personal connection as I have grown up watching my grandpa start a school which was for underprivileged kids who could not afford to spend on education. I remember going to that school and interacting with them when I had an off from my school so that was a small initiative I saw my family start in Chandigarh. This is why this (education) has a personal connection with me. I have always wanted to do something for the education and empowerment of children. Especially the rural kids as accessibility to basics like books, good public schools, and teachers are still work in progress in such pockets of the country. While researching I came across various NGOs who are working on this front and the least we can do is a contribution in whatever small ways we can." Star Plus’ popular show ‘Ikyawann’ went on air with a bang, appealing a large section of the audience with its unconventional plot. But after running for a period of six months, Prachi Tehlan starrer is counting its last breath. What worsened the shock for Prachi’s fan is the news that the lead actress has left the show and is going on a long break. Karanvir Bohra wraps up his first feature film, 'Hume Tumse Pyaar Kitna, yesterday in Madh Island This is his first Hindi film under his production company, Bora Bora Entertainment. It is made in association with Tseries. The film is directed by Lalit Mohan. Starring Karanvir Bohra and Priya Banerjee play the leads roles along with Samir Kochar and Mahesh Balraj. The crew shot for a song on the last day of the shoot. 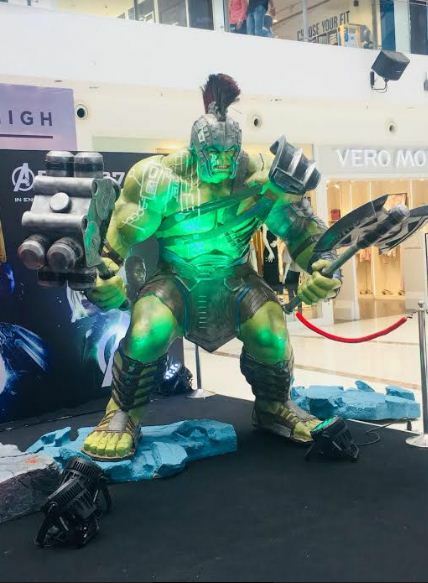 Karanvir Bohra said, ‘The film is like a baby for us because it had been with us since the inception stage, not only from the story or even idea but from the germ that we need to make a film. Today, it is unbelievable that the filming is over and we are on post the post-production stage. The director and the team have the equal amount of passion and fire towards their work and it shows in the film with its production value and grandeur which had been captured by the Ace Cinematographer Santosh Thundiyal. We also have a beautiful ensemble choice of music composers, Jeet Ganguly, Raaj Aasho, Tony Kakkar and Toshi Sharib the lyrics are penned by Shabbir Ahmed. Slated to release this year... the date will be announced soon. Strong women lift eachother up and Veere Di Wedding is out to prove that your girls truly do bring out the best in you! With powerhouse producers like Ekta Kapoor & Rhea Kapoor coming together with four gamechanging female stars, two of whom are undoubtedly looked upon as fashion icons in the country; one would typically expect a chick flick to come out of this collaboration. However, with the trailer of Veere Di Wedding, the makers have reiterated that this is “more than just a chick flick” and rightly so! The trailer of the film directed by Shashanka Ghosh went on to create a splash online registering over 12 million views in less than 24 hours , with everyone talking about the electric chemistry between Kareena Kapoor Khan, Sonam Kapoor, Swara Bhaskar & Shikha Talasania . Packaged with all the ingredients of a fun & fresh Gen-X entertainer , Veere Di Wedding , takes audiences through the journey of four women from different walks of life . With something for everyone , Balaji Motion Pictures & Anil Kapoor Film Company’s Veere Di Wedding is all set to release nationwide on the 1st June. Diana Penty was conferred with 'Style Icon of the Year' honour at the asiaSpa awards 2017 held recently at St Regis, Mumbai. Celebrating the best in luxury and wellness, the asiaSpa Awards 2017 also honored the names who exemplified what it meant to be leaders in the entertainment, lifestyle and fashion space. Always a trendsetter, Diana never fails to make heads turn with her impeccable sartorial choices, as she truly believes in ‘whatever you wear, you should be comfortable with it’. With a huge following among the youth, it is hardly a surprise that the gorgeous actress has bagged the prestigious honour. The asiaSpa India Awards have been dedicated to promoting this very important segment of wellness for the past 10 years so that they can contribute towards the growth of the emerging Spa and Wellness industry. These awards recognise creativity, originality and excellence in the wellness industry as well as individuals who adopt wellness in their life and motivate others to do so as well. Commenting on the development, Filmmaker & Producer Aanand L Rai said, “Developing content for digital consumption on Eros Now was a natural progression after our association together on films for the big screen. The digital world excites as well as challenges me and at Colour Yellow Digital, we can’t wait to paint this blank canvas and present Indian content targeted towards audiences for this medium. Meri Nimmo is one such film that's very Indian at heart and I’m sure it will strike the right chord with its beautiful storytelling and stand out performances”. Actor Manoj Pahwa, known for his roles in films such as ‘Being Cyrus’, ‘Wanted’, ‘Dabangg 2’, ‘Jolly LLB’, ‘Judwaa 2’ and the super-successful TV show ‘Office Office’, will be next seen in Harsh Chhaya’s directorial debut ‘Khajoor Pe Atke’ and the actor opened up about his character in the film. Apart from Pahwa, ‘Khajoor Pe Atke’ also stars Vinay Pathak, Seema Pahwa, Dolly Ahluwalia, Sanah Kapoor, Suneeta Sengupta and others. ‘Khajoor Pe Atke’ is a tongue-in-cheek look at how different members of a family react when a member of the family is rushed to a hospital after falling gravely ill. This film will offer cine-goers a glimpse into the lives of the most entertaining ‘Item Family’ ever! Presented by S.O.I.E films, produced by Welcome Films Productions and directed by Harsh Chhaya the film is set to release on 18th May 2018. Master Deenanath Mangeshkar Smruti Pratishthan felicitated legends from the fields of music, drama, art and social work with the prestigious Deenanath Awards at the Shri Shanmukhanand Hall, Sion. Hon. Minister Shri Nitin Gadkari presided over the function. Hridaynath Mangeshkar, Usha Mangeshkar, Adinath Mangeshkar, Avinash Prabhavalkar and Ravi Joshi among others played perfect hosts at the event that had a familial feel to it. This year, the Master Deenanath Mangeshkar Award was conferred upon the Sarod Maestro Ustad Amjad Ali Khan; Master Deenanath Mangeshkar Lifetime Award to Asha Bhosle, Master Deenanath Mangeshkar Special Award to Anupam Kher for his contribution to Indian Theatre and Cinema, Shekhar Sen for his contribution to Theatre, Dhananjay Datar for his Social Entrepreneurship; the Vagvilasini Award to poet Yogesh Gaur for Literature and Shriram Gogate Award to Rajiv Khandekar for Journalism; the Mohan Wagh Award to Theatre Production - Ananya for Best Drama of the Year; the Asha Bhosle Award to Mery Behlihomji, Hon. Chairperson of The Central Society of Education for the Deaf for her social cause and contribution to the progress of the hearing impaired for general public. The Mangeshkar family has been celebrating Deenanath Mangeshkar’s anniversary since the last 75 years and this is the 76th anniversary celebrations. Earlier the celebrations used to be a private function till they made it public since 1988. “In memory of Master Deenanathji, whose monumental contributions as a singer, musician and stage artiste have been an inspiration to the people of Maharashtra and India, the Mangeshkar family organizes the Master Deenanath Mangeshkar Smruti Pratishthan Awards to honour legends. We are glad that we have the love and support of the masses.” echoed Hridaynath Mangeshkar. The Master Deenanath Mangeshkar Smruti Pratishthan Awards was followed by a classical programme, Swar Nritya Bhav Darshan wherein Pt. Birju Maharaj and Saswati Sen delivered a Kathak performance, Pt. Ajoy Chakraborty’s rendition of Thumris, with Anindo Chatterjee as the Tabla accompanist. The programme concluded with Pt.Ajoy Chakraborty's Thumri rendition with Bhavmudra presentation by Pt.Birju Maharaj. The 76th Master Deenanath Mangeshkar Punyatithi was organized by Master Deenanath Mangeshkar Shruti Prathishthan along with Hridayesh Arts, who have also organized the music programme.